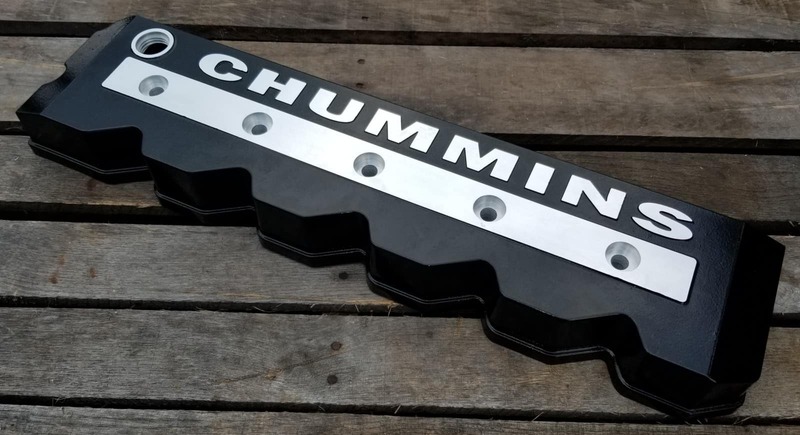 Quick Draw Brand is proud to be selling an aftermarket CHUMMINS cast Aluminum Valve Cover sold powder coated in black and made right here in the USA. This valve cover is designed to fit the Cummins 5.9 24 valve engine with the VP44 injection pump. Will also work with 24 valve VP engines that were converted to a P pump. There is an added boss on the inside of the valve cover for folks that want to drill, tap, and add a crank case vent or catch can. The video above is an example of my valve cover during testing.